Timer Display With Clip, 99 min. 36ct. Timer Display With Clip, 99 min. 6ct. 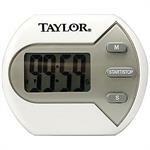 Timer Display With Clip, 99 min.